If you own a car and only have one key to it then you may be going back and forth on whether or not you need to obtain a spare key for that car. Not everyone thinks of it as necessary. If your car is not frequented by two or more people then you may not see the need, but it is still very much there. Most used cars that you purchase these days from a used car dealer only come with one key so its up to you to get a spare. In most cases we can not only produce a spare for you but usually at a significatly lower cost to the dealership. This can happen to almost anyone, no matter how great you claim your memory is. If you manage to lock the door to your car but forget your key inside the car then having a spare key in an easily accessible location can make all the difference since it means that you will not have to employ a locksmith or risk damaging the finish on your car in order to retrieve those keys yourself. Almost everyone will lose their keys at some point and having a replacement helps to mitigate this by allowing access to a backup key that you can use until you manage to locate or replace the old one. It serves as a kind of “just in case” key that you can use if the primary key is not an option for some reason. 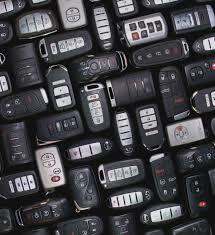 All keys suffer from wear and tear over time as you use them – even more so when those keys are used frequently. If you have a spare key to use some of the time in the place of your primary one, this will help by causing wear and tear to happen much more slowly so that your keys will remain usable a lot longer than they would if you just used one until it ceased to work and then replaced it. For more suggestions about why having a spare car key is something everyone needs to consider, please contact us today for more information or to schedule a time to get one made. People come to us from Boulder, Lafayette, Broomfield, Longmont, Erie, Westminster, Arvada, Louisville, Frederick and Superior for all their spare keys so check us out.